Looking to Start Your Online Gambling Business? 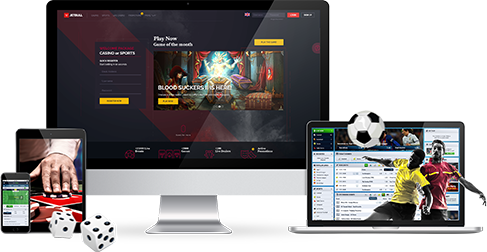 EveryMatrix assists new online gambling businesses by offering a full suite of products, from a fully managed sportsbook and the largest casino content aggregator in the world to a complete gaming platform, an advanced payment processing product and a multi-brand affiliate/agent management system. Our iGaming products work independently and can be easily integrated with existing platforms or can be offered as White Label solutions, where clients can choose to operate under their own gaming licence or use one from EveryMatrix. EveryMatrix is proactively assessing acquiring additional licences to access regulated markets and facilitate gambling startups fast access to new territories and jurisdictions. Our company has been awarded licences in several reputable jurisdictions including: Malta, UK, Denmark, Ireland and Romania, and maintains both licences as software provider. For white label clients, EveryMatrix is responsible towards the end player and reports to and manages audits by the relevant gaming authority.